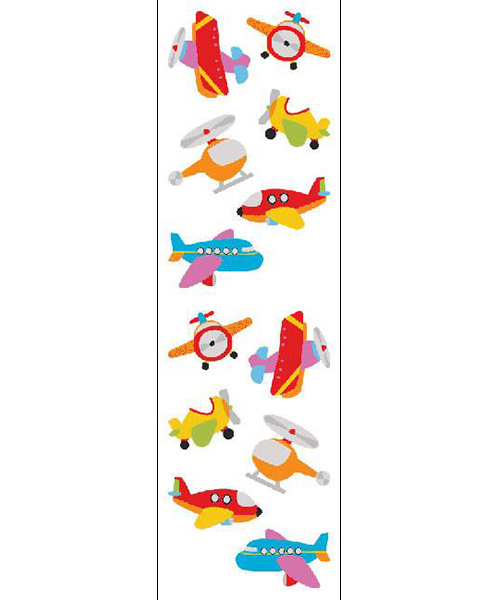 High flying, multi-colored airplane stickers are perfect for party invitations and sticker stories. 3 sheets per package. Sheet size: 2" x 6-1/2".